With the ubiquitous use of mobile phones, learning technologies that are based on handsets are a viable alternative to traditional media. One avenue is using mobile phones for improving written Dzongkha skills. We have been experimenting with Dzongkha on the Nokia N900 smartphone, and have been able to demonstrate the full functionality of the phone in reading and writing Dzongkha, including browsing Dzongkha websites, sending SMS messages in Dzongkha, writing documents, etc. 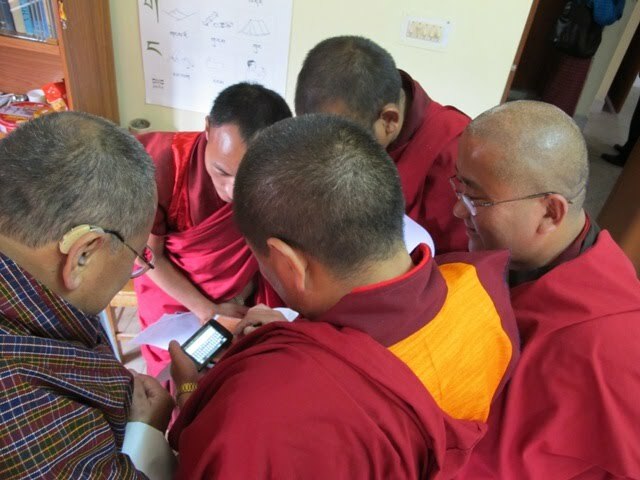 As far as we know, this is the first demonstration of a smartphone that fully supports Dzongkha.